Hi there! Thanks for visiting my blog, "The Cooking Actress". I started The Cooking Actress during a particularly lonely part of my life, and through it I have made so many wonderful friends and expanded my prowess in the kitchen. I love nothing more than creating delicious food and sharing it with all of you! Now, a little bit more about myself...my name is Kayle Blogna (or, now, Kayle Crofford) and I was born, and grew up, in the small town of Massillon, Ohio. I went to Catholic school for 13 years (preschool all through high school). I have always wanted to be an actress, and knew I wanted to train and pursue that dream in New York City. Which is where I attended The New York Conservatory for Dramatic Arts-The School for Film and Television for 2 years, studying on camera acting. 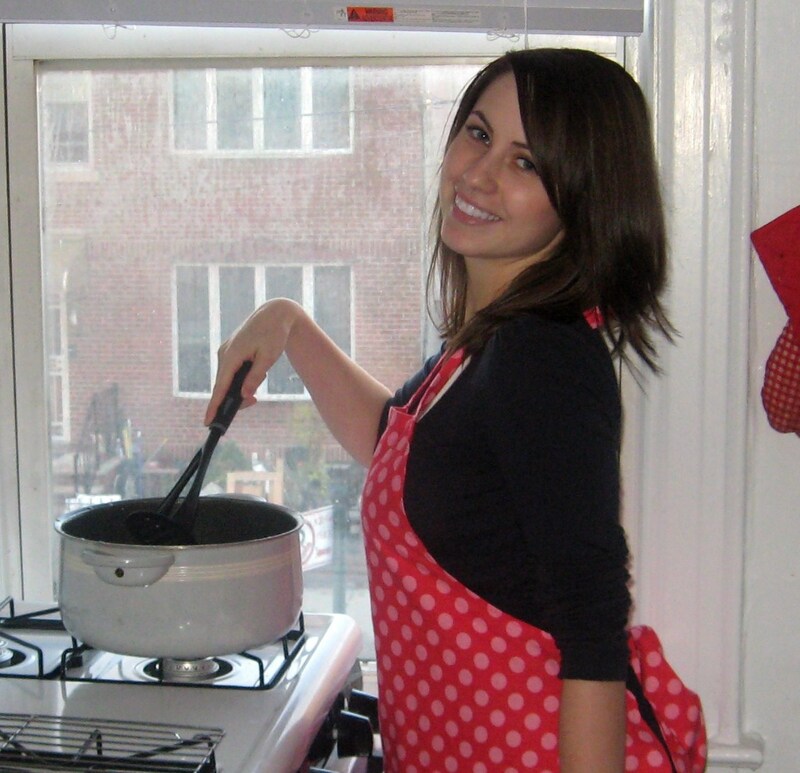 Then I graduated and worked as an actress in the city, but NOW I'm moved back to Ohio, to work as an actress in Cleveland (you can visit my website www.kayleblogna.com to learn more about my acting) who...you guessed it...also loves to cook (and bake)! Since planning my own wedding and moving back to Ohio, I've also become a wedding/event planner with Perfectly Planned. I am Italian on my Dad's side (Sicilian and Northern Italian...that's where my last name, Blogna, comes from), and Irish and German on my Mom's side. I got the bum end of being Italian, instead of having an Italian mother who cooked for me constantly (like Michael's Mom, lucky boy), I got an Italian father (who didn't cook so much). I love my mother, but she doesn't enjoy cooking (which is fine). I, however, was always interested in it. I used to make blueberry muffins using the Jiffy mix and pretend I was on my own cooking show. My favorite part of going over to the Blognas was watching and helping my grandma make homemade pasta, wedding soup, scarpellis (something that no one seems to have heard of, but they're amazing, let me tell you),etc. After moving to New York, I steadily got more and more into cooking, especially when I started becoming a little healthier (don't get me wrong, I still love cookies, I just try to have as few processed things, etc.). This then expanded into a food blog/recipe collecting obsession, and then I decided-I'll just do it! You'll find I love chocolate, peanut butter, carbs, chicken, and pretty much deliciousness. If you want information about sponsorship/advertising/working with me, click here. If you're looking for resources for bloggers, click here! I live in the US so my measurements reflect that. When I refer to an oven temperature, assume it is Fahrenheit. All my recipes use standard, large eggs (unless otherwise specified)--I also generally use organic, cage-free eggs. 99% of my recipes use unsalted butter---unless I state otherwise or, sometimes, if I do not specify it means either will work. The all purpose flour I use is always unbleached--it is less processed and does a better job in baking. Just buy unbleached all purpose flour. actors who blog about food! yay! You look so pretty. Such a gorgeous girls and such a delicious blog. Good luck with your dreams. Just found your blog via the amazing cookies on foodporndaily.com and have just pinned a bunch of your recipes. Everything looks so good and you are gorgeous too btw! aw you're so sweet! Thank you! 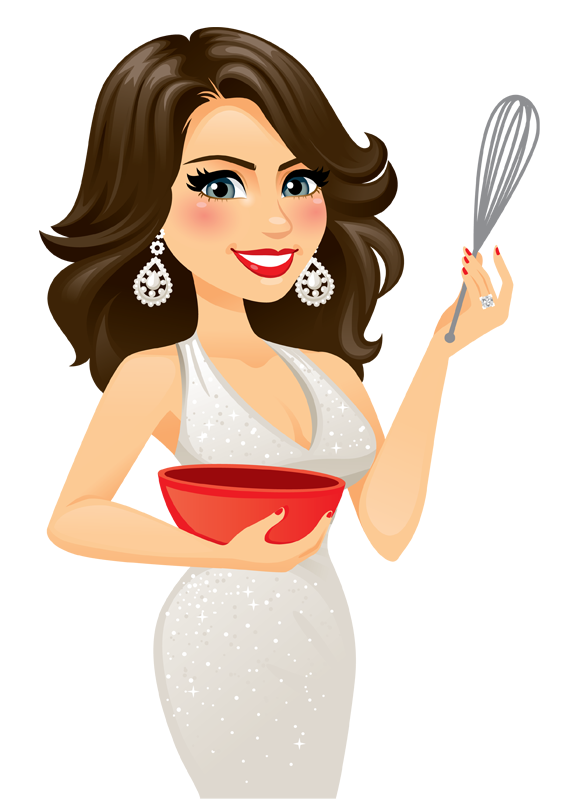 Hi Kayle, just discovered your blog via Erica at Cannella Vita... loving the updates on your journey in the kitchen, theatre and elsewhere! Just wanted to provide even further encouragement in regards to your acting career. Creative arts is a difficult career path - my husband is a young animator who is currently trying to crack the industry (preferably film/games) but it's a bloody hard slog! Especially because we're living in Australia... sigh. Hopefully NYC is a better position for this kind of thing! You are definitely beautiful and talented. Hopefully we'll see you on screens over here some time soon! P.S I'll be trying your browned butter mac and cheese; possibly with additional bacon. Thanks! You've got a very tasty blog hre..
i have an italian mom who cooks and italian grandmas who cooked so i always had someone doing the cooking for me! it's good you are doing it yourself! I gotta tell you- totally understand about the genes. I am also Italian and German, but I lucked out with an Italian grandma that could cook. Somehow my Italian genes got the best of me too (they totally missed my brother and sister- go figure). By the way, your pictures at the top of the page totally make me want to bake gooey cookies! Looking forward to reading more of your blog! It's a shame no recent comments. I think interactivity is what makes a blog more relevant and engaging. Of course, actual blog posts matter too! I have an italian mother and grandmother who lived with us when I was growing up, and all I ate was homemade Italian food. I major miss it. All the secrets and feelings about it are bred into me. I literally sat and watched an old woman make dough, roll it, shape it with her hands, and cook it to make Ravioli and Cavatelles-spelling off. The sauce was made from scratch, but that's not what made it good. SIMMER TIME and love! If you saw the recipes you would be like where's the ingredients. There are only 3 lines. What does that tell you? It's all in the making it with a few basic secrets or steps. This stuff was literally better than anything you could get a top notch Italian restaurant. Oh yes, my father was Russian, and barely any of that side took hold in the kids. My sister still follows up with the italian heritage cooking, but nothing beats Grandma. Escarole soup! OMG! Just ask if you want to know more, or if you want some recipe suggestions. I'm a sweet tooth fanatic. Whatever all your mix, it worked out beautifully for you! I have seen your comments and am only getting around to visiting you know.I will be touring around your posts. I know exactly where Massillon is! I have a fried from Massillon named Raven. I live in Wadsworth and we would visit Massillon every year for my son's band competition held at "The" stadium. You have some great recipes here. thanks! Hi Kayle! Have you ever done any tv commercials with your voice lended in?